Get It Now On The Unity Asset Store! Take your game’s production quality to the next level by making terrains and materials sound the way they look! Don’t make your players settle for generic “clip clop” sounds as they walk across and explore your scene. Increase game immersion with Footsteps Scene Designer Pro quickly and easily by tagging textures and objects so that gravel sounds like gravel, wood sounds like wood, water sounds like water, etc. Add footsteps to your mobs to give your players audible queues and enhanced situational awareness as enemies approach. Are they coming from the forest or from the lake? Is there one or many? Are they near or far? Now your players will know without even looking! Three editor customizable scripts and 11 predefined material types allow you to effectively paint sounds onto your terrains using splat maps, tag objects and define water layers; covering all your footstep needs inside and out and across scenes. Quick setup, no coding required. Works with indoor scenes, outdoor terrains and water plians. 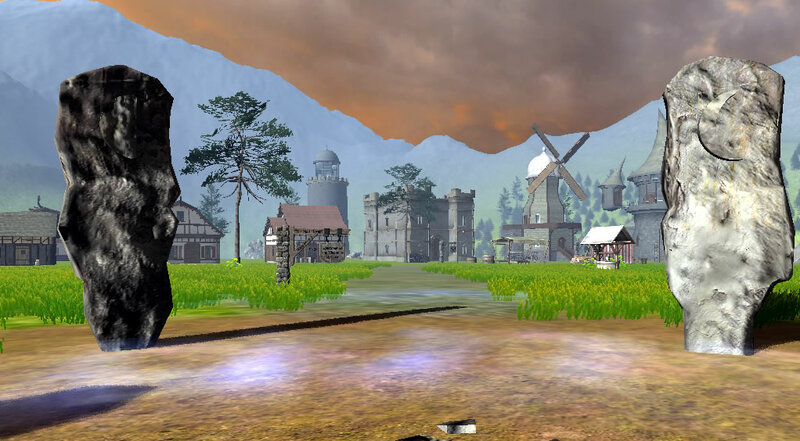 Associate sounds to terrain textures, objects and water plains with simple tags. Terrain Texture Sound Map Association enables you to set the sound pallet independently for each scene making multi-scene projects easier to manage and maintain. Three scripts with fully documented source code included so you can add additional sound types (beyond the 11 already included) to suit your needs. Extensive documentation to help you get setup quick! 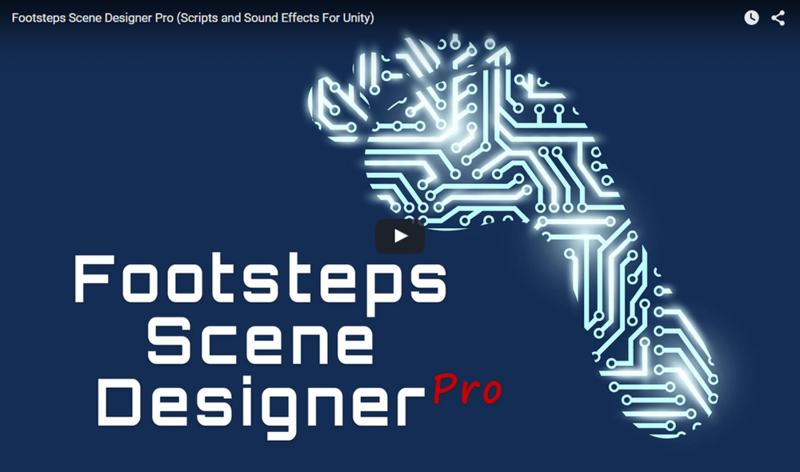 The following scene utilizes Footsteps Scene Designer Pro. Walk through grass, gravel, pavement, dirt, wood, leaves, sand and water to see how footsteps add to the immersive quality of a scene.